We all love to snuggle up under cozy comforters when it’s bed time. 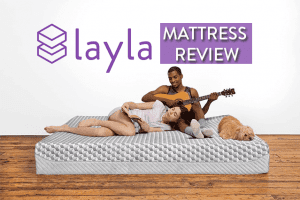 But if you’re used to tossing and turning around throughout the night due to temperature issues and waking up drenched in sweat, it’s time you take the plunge and retire your traditional comforter. 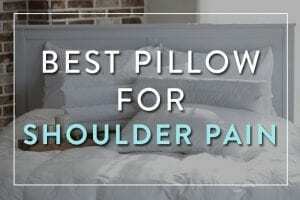 Besides comforter, other things like mattress and pillows also play an important part to get a good sleep. If all else fails, the only thing that can keep you cool at night is Chilipad. It’s a cooling mattress pad, that keeps you cool all night long, GUARANTEED. If you’re a hot sleeper looking for a high-end goose down feather comforter that keeps you warm all year long, Pinzon Hypoallergenic comforter fits the bill. It is filled with 75% goose down and 25% down fiber. You can get the same comforter in duck down fill as well. 40-ounce fill makes sure you get to taste both a lower and higher fill level which is why it is an ideal choice for year-round comfort. Something that sets it apart from the competitors is its baffle box construction that ensures filling is locked in place to avoid any clumping. The goose down filling used in the production of this comforter is of premium quality which helps you sleep at an ideal temperature by taking out moisture and excess body heat. So you don’t wake up hot and sweaty anymore. It is made in USA so you can be sure about the quality of manufacture. It’s a mid-weight down comforter that won’t feel heavy on your body. The 100% cotton cover make it breathable and promotes better airflow. 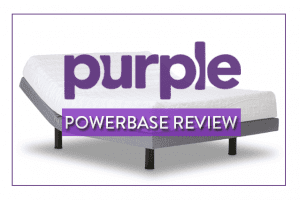 It is not your ordinary cheap comforter but if you want to put a full stop to sweaty nights, this is the best comforter for hot sleepers. If you still want to enjoy the warmth of down comforter without down fill, Pinzon Down Alternative duvet insert is for you. Since it’s hypoallergenic, allergy sufferers find it useful for them as they can enjoy the same comfort of down without sneezing, foamy watery eyes and respiratory problems. It’s made in the USA so you can be sure about the quality of the product. 60 ounces of hypoallergenic polyester filling inside a cotton dobby shell gives you year-round comfort at an affordable price. Don’t panic over the fill quantity since it’s down alternative fill is less warmer as compared to down, so more quantity of this one as compared to the one discussed above is justified. Due to it’s end-to-end sewn-through box construction, there is no shifting inside the cover and you won’t observe any clumping. You can wash it in machine and then put it in dryer to dry. 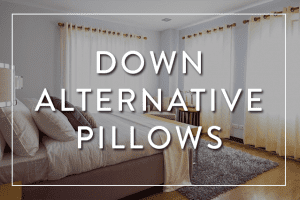 Down alternative is the best duvet filling for night sweats if you want to avoid down fill. Ok let’s talk about some budget-friendly options. If you want to buy a comforter without breaking the bank, Linenspa has got the best duvet insert for hot sleepers. This down alternative quilted comforter by Linenspa is hypoallergenic with plush microfiber fill. 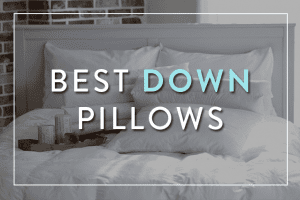 You can either use it as a duvet insert or a standalone comforter as well. Not to forget, it’s machine washable to cleaning isn’t an issue. It’s good to wash and dry it before first use if you want it more fluffy. The microfiber fill is meant to retain its loft and unlike down fill, you won’t notice any feather quills popping up of your duvet insert after washing or frequent use. The Linenspa down alternative comforter is perfect for all-seasons. If you want to get extra cozy, make sure you buy the cover as well which will make your comforter extra fluffy and cozy. But if that makes you feel too hot during summer, just take it off and enjoy the medium warmth of stand-alone comforter. Superior’s duvet insert is another economical option for you if you want to own a alternative down comforter without stretching your budget. It’s the best fluffy duvet insert with medium warmth suitable for all seasons. What makes this comforter extra cozy is its ultra soft shell made with the finest microfiber. The shell is soft and completely noiseless. The Superior comforter features baffle box construction with double needle stitching to prevent fill from shifting inside the shell. The stitching is of high quality and fill remains intact even after washing the comforter. It is machine washable and can be tumble dried on low heat to regain the fluff. Make sure you always read the instructions on label before washing any comforter. If you want the feeling of sleeping in clouds throughout the year, this comforter can make your dream come true. The plush down alternative fill is hypoallergenic so it is suited for people with asthma and allergies. This comforter is a bit heavy weighing 10 pounds but here heavy doesn’t mean too hot. It still offers medium-warmth so you can use it throughout the year. We all dream of staying at hotels that offer the best luxury bedding. 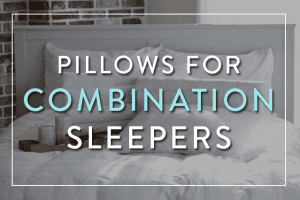 But what if you can enjoy the same comfort of hotel bedding at your own home? Royal Hotel’s Down Comforter let’s you enjoy the luxury and warmth of hotel collection bedding in your own bedroom year-around. It is the best hotel quality down comforter for people who sleep hot. The 60 oz fill contains 90% Down and 10% Small Down Feather. The comforter has a 500 thread count cotton cover that is hypoallergenic. Royal Hotel’s comforter features fully closed Baffle Box design to make sure there is no clumping inside the cover. You can also use this comforter as a duvet insert as it will easily fit inside a duvet cover. The down fill is very well distributed and you won’t notice any features coming out the cover after washing. With that high end features and quality construction, you can be sure that you are making an investment for some good 3-5 years. The comforter breathes nicely and you won’t feel yourself getting baked in an oven during summer nights. Getting the fluffiest duvet insert is not always the right choice. Your best bet is to go with light and medium warmth comforters that help you sleep warm. These comforters work perfect throughout the year and are best suited for temperatures between 60F-75F. Have you found your ideal comforter yet? Let us know in the comments section below.